Find Our Highly Rated Reviews on Trip Advisor! Fall in love with Old Cape Cod while enjoying deluxe, air-conditioned accommodations in a private location in the heart of the Cape Cod National Seashore. Oyster Cove is a mere 10 minutes from every beach in Wellfleet, including the renowned Oyster Beach. Our B and B in Wellfleet, MA, is open year-round, and we would love to see you. Oyster Cove is fully licensed, and our rooms feature TVs, coffee makers, and Wi-Fi. Our honeymoon suite has a king-size bed and a private entrance and deck. The beach suite with three bedrooms, private deck, and entry is perfect for a family or other group. Oyster Cove is a bed and breakfast on beautiful Cape Cod, Massachusetts. Guests from all across America, Canada, and Europe, have stayed with us and fallen in love with our unique natural surroundings. This private waterfront home was custom-built, a mere 300 yards from the beach. When the tide is high, the waters of Cape Cod Bay reach our driveway through the marshes. There are no other houses between us and the sea. You'll enjoy the isolation and magnificent views from every bedroom. We're here all year and are waiting for your visit. The words “home away from home” are thrown around much too often without any thought to the weight they carry. They evoke visions of comfort, welcome, and warmth. 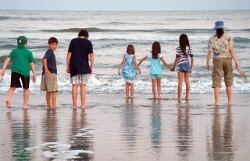 At Oyster Cove, when we encourage you to make us your “home away from home” we mean what we say. Your experience at our B and B in Wellfleet, MA, will make you feel as if you’ve discovered one more place to relax and be yourself while enjoying the high level of customer service we provide. You don’t have to imagine waking in the morning to the sea breeze and sounds of the ocean. It’s a reality with the comfortable and cozy rooms we offer. 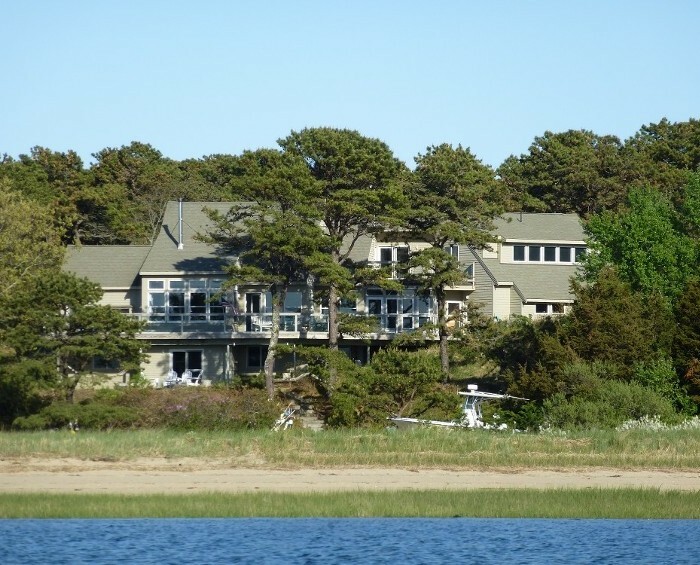 If you are a couple seeking a romantic getaway weekend or a family looking for time at the shore, when you’re considering places to stay in Wellfleet, MA, choose Oyster Cove. Our pace is slower than you will find at a busy hotel and you will relish the level of privacy. Your stay with us will be more than a hurried vacation. It will be an experience to treasure as you embrace all that the area has to offer. Outdoor and cultural activities abound. It’s safe to say there’s something for everyone. When the day is done, and you’re looking to relax, our vacation suite awaits. Contact us to find out about our rooms and rates or to book your vacation. We proudly welcome all guests to our bed and breakfast in Wellfleet, MA.